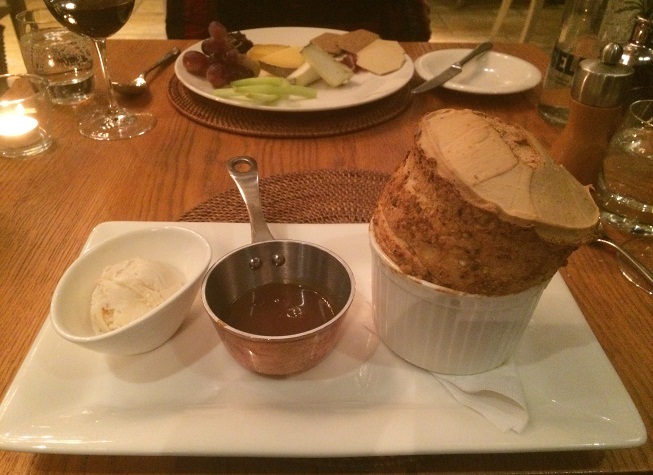 For those who love the idea of recently-reviewed boutique hotel Barnsley House (and who wouldn’t?) 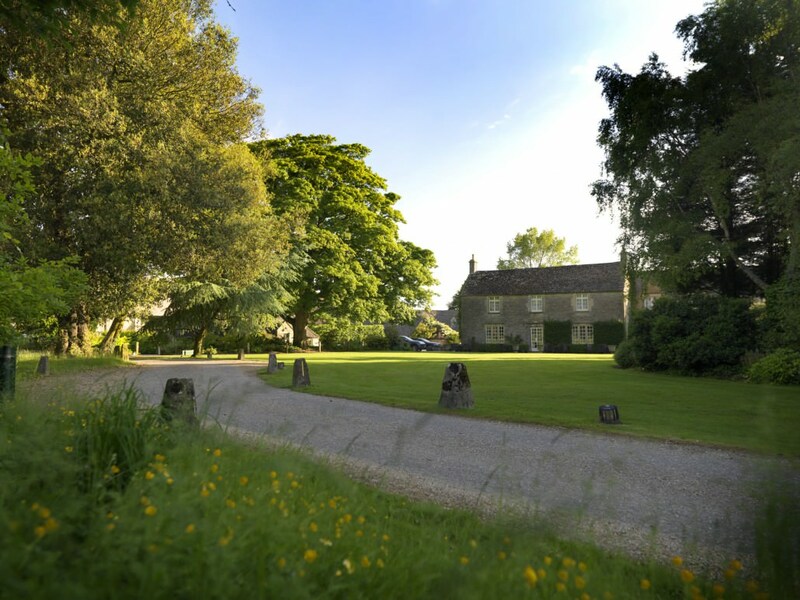 but are travelling with children in tow, its sister hotel Calcot Manor, just the other side of Circencester, is the ideal alternative. A country retreat with an element of luxury. While you don’t have to have children to enjoy Calcot’s charms – lovely rooms, good food, massages and beauty treatments and so on, situated in the glorious Cotswolds countryside – you might find your morning swim isn’t quite as relaxing with small infants splashing about, or that breakfast time is somewhat louder than usual. 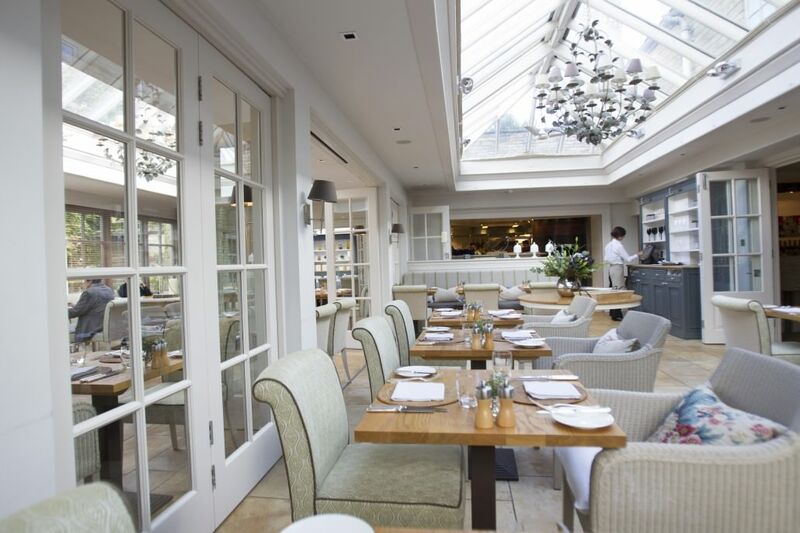 However the prevalence of small ones does give it a more relaxed and casual air: there is a pub on one side of the house – The Gumstool – and the bright and airy Conservatory restaurant on the other – and they are more in the ‘wear whatever you feel comfortable in’ category rather than the smarter dress code of a boutique or grand country house hotel. 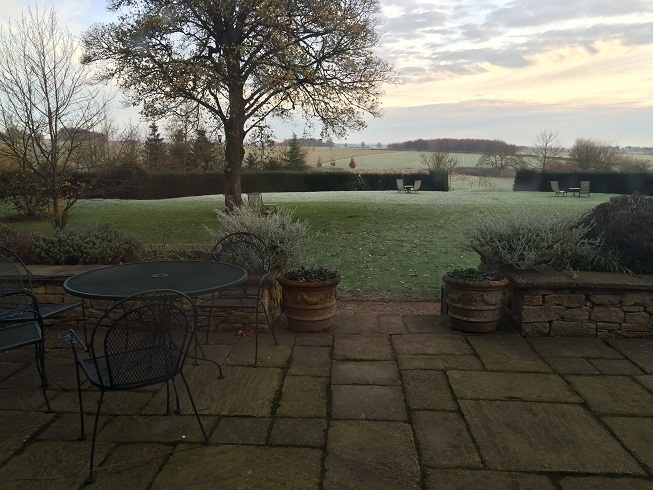 It does feel more like a hotel than a friend’s house in the country (which is what Barnsley House did so well) but that’s no bad thing if you have children with you, when the emphasis is more about getting things done speedily rather being greeted like old friends. 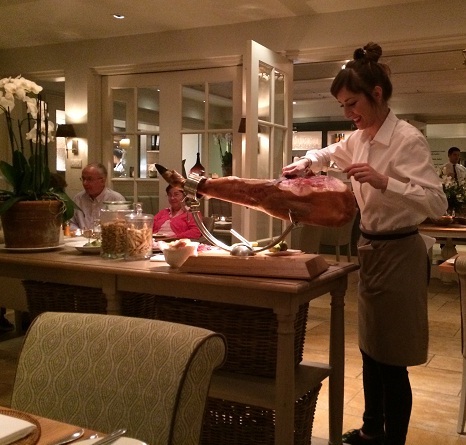 Having said that, it’s not just about the children: the food in the Conservatory is really rather good and full of nice touches – a massive hand-carved leg of Spanish ham for example, a large and varied cheese selection and attentive staff. Both our evening meal and breakfast the following morning were really good, with a wide selection to choose from and promptly served. 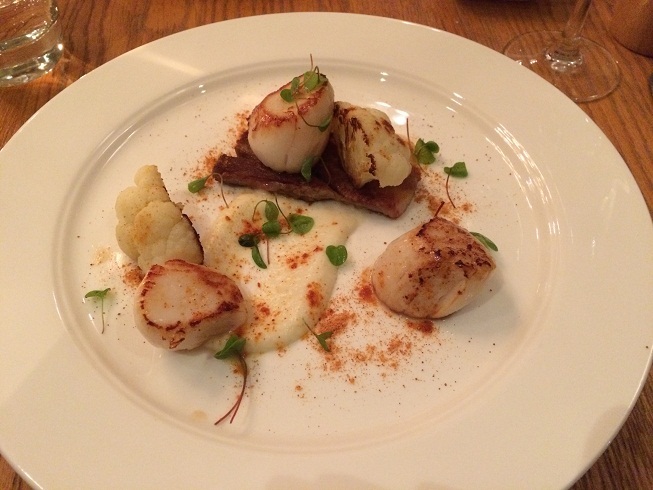 For dinner I started with seared scallops with cauliflower and truffle puree, which looked and tasted great, and then went onto the herb-crusted lamb which was equally good. Obviously the cheeseboard couldn’t be ignored, and I was rather glad that we’d had a big walk around the local fields before dinner. 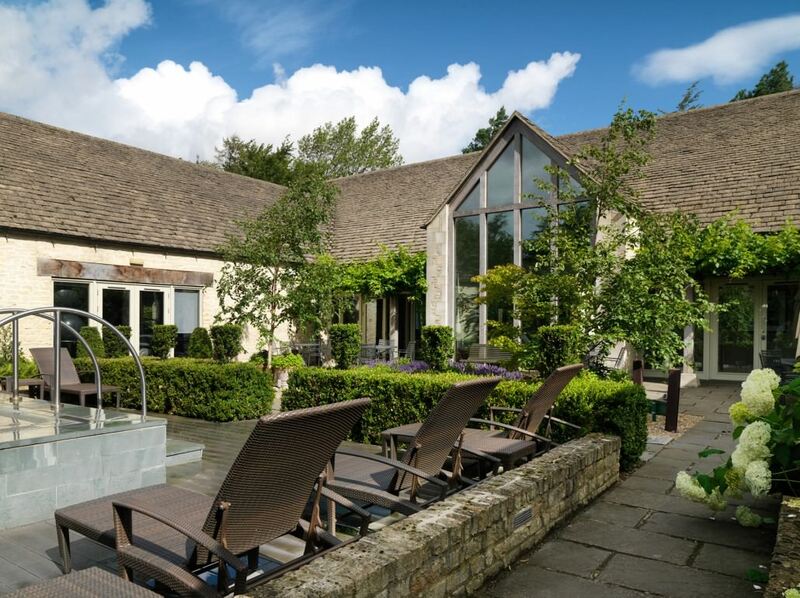 However if you have wriggly youngsters with bags of energy to work off you will probably spend less time eating and more trying to wear them out before bedtime, and here Calcot Manor is perfectly placed, set in 220 acres of green Cotswolds countyside with walking trails clearly marked. Calcot Manor’s location just near Circencester means the surrounding area is flattish fields rather than the more picturesque undulating hills round Broadway, for example, but it’s still a great way to get rid of the cobwebs (or tire out little legs). There’s an outdoor swimming pool (closed during the winter months) but an indoor one open all year round, playground, a outdoor hot tub, tennis courts and bikes to hire. The first day we arrived I headed straight for the spa but it wasn’t very relaxing – it seemed to be children’s hour in the pool, the hot tub was full of teenagers and there were no loungers available in the small chill-out area upstairs. After a while of waiting some became free, but even then the design of the room – the sauna and steam room were in the same area as the loungers – meant that the doors to both were constantly banging open and shut – not quite a luxury spa experience. 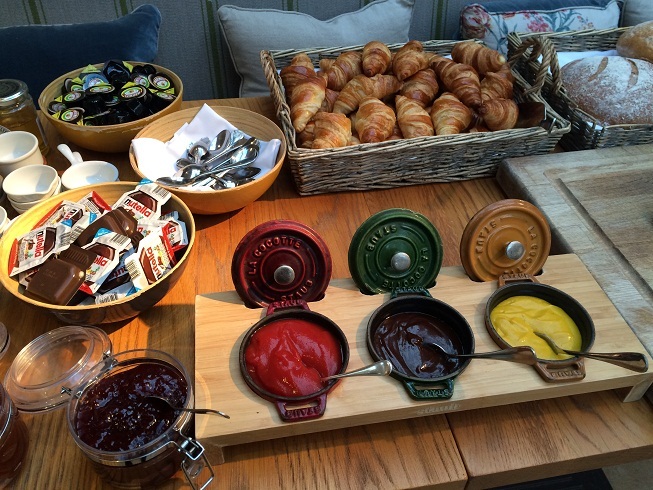 However the next morning after breakfast my rose facial was very relaxing and indulgent and there is a large area downstairs serving anything from herbal juices to champagne which seemed to be very popular. Most bedrooms, family rooms and suites are mainly located in a separate building just across a stone courtyard , although 12 rooms are in the main house. Our room was a family room, with twin beds at one end and a third bed at the other. Both the bathroom and room itself were smart and spotless, with a massive TV, mini-bar and Nespresso machine. There were nice touches here such as a bag of bath toys for children, but the bath itself had a massive border which would make it difficult to lift children in and out of. 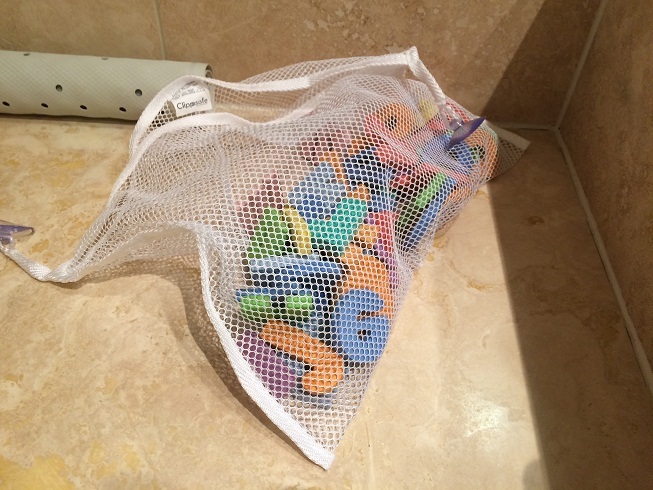 When we checked out we were even given a little sweetie bag each – perfect for little travellers. 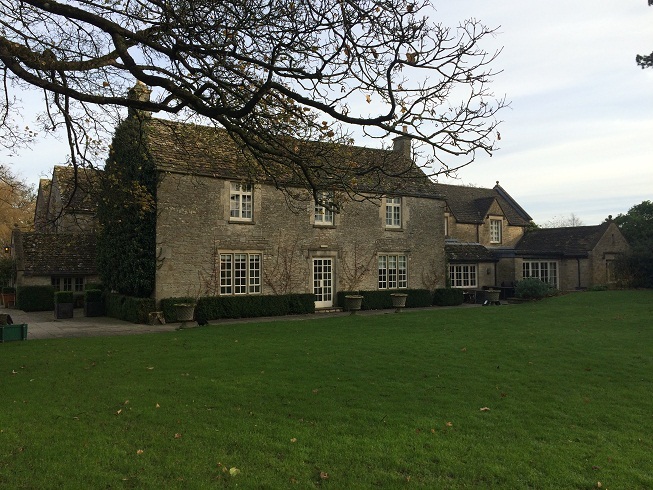 Calcot Manor, near Tetbury, Gloucestershire, GL8 8YJ. 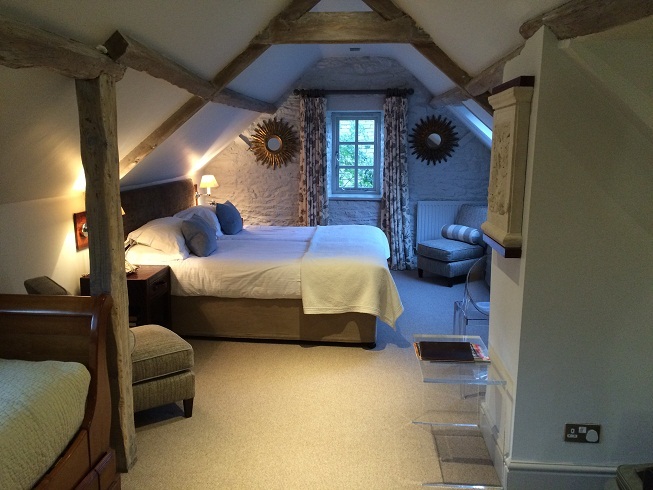 Rooms available from £199 per night including breakfast. 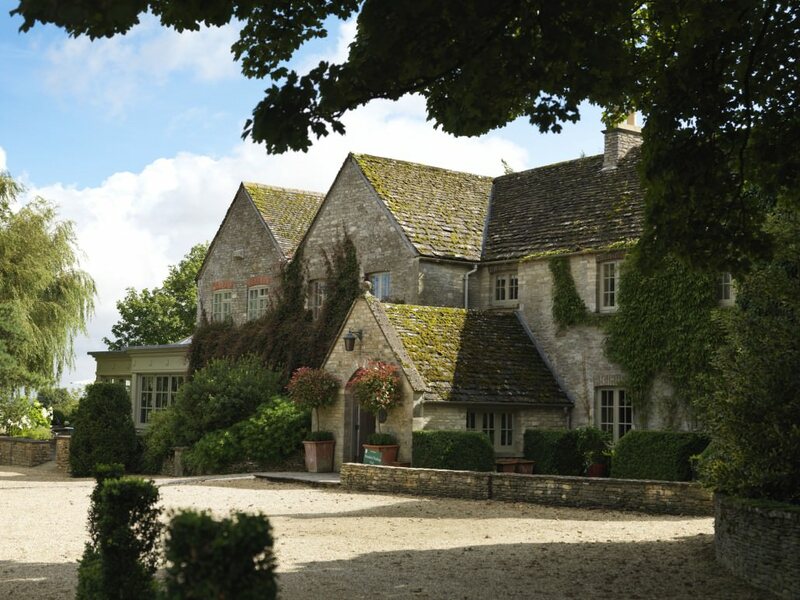 Calcot Manor is a member of the Pride of Britain Hotels group.